In recent investigations, the problem of detecting edges given non-uniform Fourier data was reformulated as a sparse signal recovery problem with an \(\ell _1\)-regularized least squares cost function. This result can also be derived by employing a Bayesian formulation. Specifically, reconstruction of an edge map using \(\ell _1\) regularization corresponds to a so-called type-I (maximum a posteriori) Bayesian estimate. In this paper, we use the Bayesian framework to design an improved algorithm for detecting edges from non-uniform Fourier data. In particular, we employ what is known as type-II Bayesian estimation, specifically a method called sparse Bayesian learning. 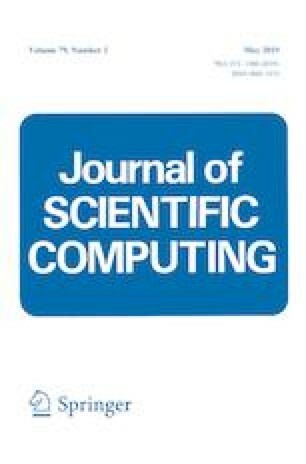 We also show that our new edge detection method can be used to improve downstream processes that rely on accurate edge information like image reconstruction, especially with regards to compressed sensing techniques. This work is supported in part by the Grants NSF-DMS 1502640, NSF-DMS 1732434, and AFOSR FA9550-18-1-0316.